Square…………Pizza! – He Said What?! Guess what we had for supper. YES!! 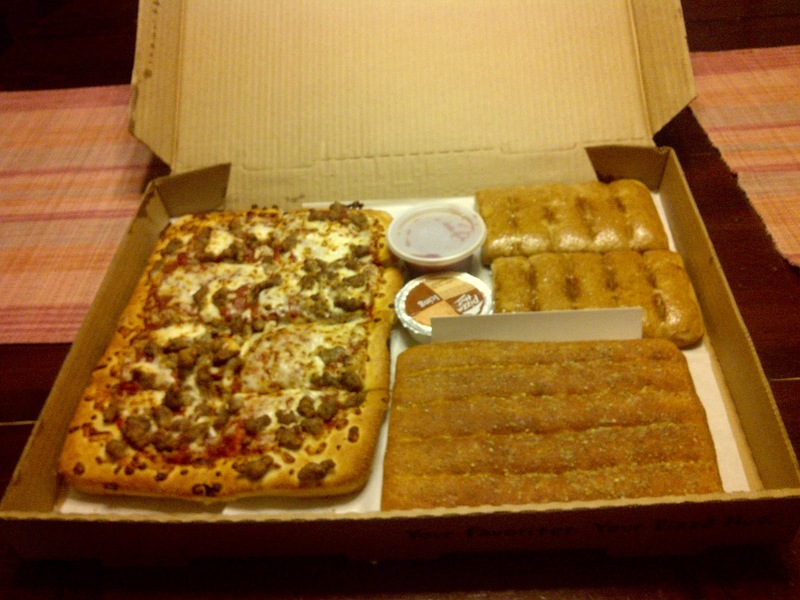 The Dinner in a Box from Pizza Hut! Andrea came for a visit, and she and I were wondering what Aaron’s reaction would be. 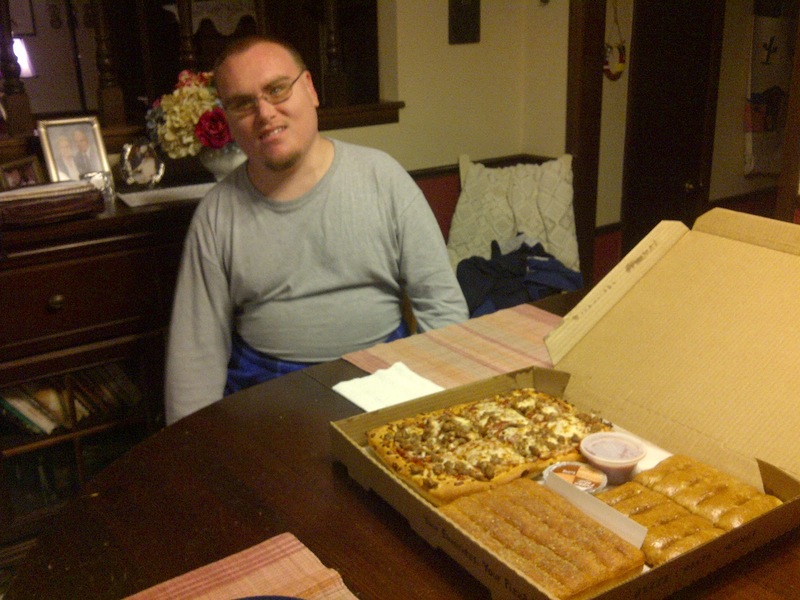 He walked into the kitchen, saw the rectangle box, and smiled…………….but he rarely acts super excited about anything. And believe me, he didn’t have one bit of trouble figuring out how to eat this strange, square pizza! Previous Previous post: That’s Not Pizza!